Some of the critters that take up residence in our digestive systems are actually older than we are – one interesting example is a bacterium called H. pylori. H. pylori is so old that scientists just found it in Otzi the “iceman”. The news inspired a long chain of headlines about Otzi’s “stomach ache” – but H. pylori actually does a whole lot more than just cause stomach pain. It’s actually one of the more interesting bugs that can take up residence in our digestive system, because it has several different and contradictory effects. Thanks to a particularly brave gastroenterologist who was actually willing to drink H. pylori to prove his point, we know that it can cause stomach ulcers. It also increases the risk of some types of stomach cancer. But like all the helminths and other parasites we used to carry around, there are also theories that H. pylori might have some benefits. H. pylori infection is associated with lower prevalence of obesity and some theories also praise it for reducing acid reflux and asthma. Could it be one of our “old friends” that actually helps protect us against diseases of civilization? H. pylori is a type of bacterial infection that a whole lot of us are carrying around. Worldwide, about half of all people have H. pylori, but it’s not an even distribution. Rates of infection are higher in developing countries, and lower (but definitely not zero!) in developed countries. If you’re into stories where the passionate rogue scientist gets shot down for years by the medical establishment and entrenched pharmaceutical interests but eventually proves them all wrong, you’ll probably be into the story of Barry Marshall and the discovery that H. pylori causes gastric ulcers. Here’s a fun writeup of the whole story, but the short version is that Dr. Marshall and his fellow-researcher Robin Warren won a Nobel Prize in 2005 for their work on H. pylori and now we know that it definitely does cause ulcers – at least in some people with the infection. Not all people with H. pylori get ulcers. But some of them do, and the ulcers are treatable with antibiotics that kill the bacteria. The other big problem with H. pylori is its connection to stomach cancer. H. pylori is necessary for certain types of stomach cancer, but just because you have H. pylori doesn’t mean you’ll get cancer. H. pylori causes chronic inflammation, and also causes genetic and epigenetic changes that increase cancer risk. Nobody wants to get gastric ulcers and cancer, so we should just treat everyone for H. pylori, right? It sounds totally reasonable, until you look at the evidence that H. pylori might also have some benefits. This ties into the “old friends” hypothesis: the idea that we evolved to live with some kinds of bacteria, and that we actually suffer when they’re gone. A recent review found that rates of obesity tend to be higher where rates of H. pylori infection tend to be lower. The study only looked at developed countries and tried to adjust for GDP, so the researchers argued that it wasn’t just a factor of rich countries having both better medical care and more junk food. H. pylori can cause dyspepsia (difficulty swallowing). If you treat the H. pylori, the dyspepsia goes away. People tend to eat more when they can swallow without pain, so they might gain weight just from that. Other studies have found that eliminating H. pylori increases levels of ghrelin (a hormone that increases hunger), which could cause the weight gain as well. But the evidence here is conflicting, and not all the studies actually agree. One more theory is that the antibiotics used to treat the H. pylori actually cause the weight gain. We know that antibiotics have a significant effect on the gut microbiome, and that the bacteria in the gut affect weight in all kinds of ways. Maybe people just gain weight after H. pylori treatment because the antibiotics that got rid of the H. pylori also messed up their gut. There’s also a theory that H. pylori infection is protective against asthma. But this study goes over the evidence and concludes that it isn’t very convincing. The observed association between H. pylori and protection against asthma might really depend on a connection between H. pylori and social class. The poorer someone is, the more likely they are to have H. pylori. The poorer someone is, the more likely they also are to live around a lot of germs. When kids grow up around a lot of different germs, their immune systems “learn” to tolerate a bunch of different stuff without freaking out about it, and they’re much less likely to get asthma (this is also why children who grow up on farms are less likely to get asthma). So it’s not the H. pylori specifically, just the association with a generally germier life – which in this case is actually a benefit. Another potential benefit of H. pylori is that it actually reduces the risk of some types of cancer. H. pylori might actually be protective against two types of cancer: gastric cardia cancer and esophageal adenocarcinoma. This study proposed one possible explanation: stomach acid. H. pylori reduces stomach acid, and eradicating the infection increases stomach acid. Acid reflux is a big risk factor for both these types of cancer. 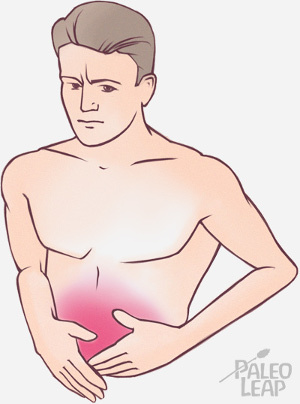 If a person has acid reflux and suddenly their stomach acid gets a lot more acidic, it just makes the problem worse. The problem with this is that blaming the stomach acid itself for causing cancer doesn’t make sense. Acid in the stomach isn’t a bad thing. In fact, it’s a good thing. The stomach is supposed to be acidic. 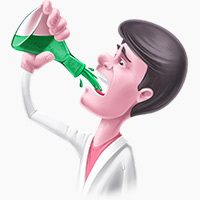 Acid getting up into the esophagus is a bad thing, but it’s not a problem caused by too much acid in the stomach. The real problem is whatever causes the acid to reflux back up into the esophagus, not the existence of acid. Ultimately, the “benefits” of H. Pylori seem pretty small and pretty dubious. Obesity is one of the best-studied, but it’s very possible that the real problem is the antibiotics used to kill H. pylori, and not anything to do with the infection itself. And in any case, the measured effect is small (1.3 pounds in two years? Is that really worth the risk?). The evidence for asthma is weak, and with acid reflux, the real problem is whatever causes acid to get up into the esophagus, not the presence of acid in the stomach. It can be tempting to turn everything into a story about how great it was in the good old days until we messed it up for ourselves with (antibiotics/grains/agriculture/processed food/artificial light – pick your favorite) but sometimes, our “old friends” really weren’t that friendly after all.